Go small for some big fun with these 0.75" mini plastic balls! This set can be used for mini games of ping pong, table tennis, or even beer pong! It is important to note that these are NOT full size 1.5" / 40mm balls, these are half the size (0.75" / 19mm). Size doesn't always matter though, because these are great for smaller beer pong cups, small table tennis / ping pong games, children's toy replacement balls, cosplay, or even arts and crafts! Go small for some big fun with these 0.75" mini plastic balls! This set can be used for mini games of ping pong, table tennis, or even beer pong! It is important to note that these are NOT full size 1.5" / 40mm balls, these are half the size (0.75" / 19mm). Size doesn't always matter though, because these are great for smaller beer pong cups, small table tennis / ping pong games, children's toy replacement balls, cosplay, or even arts and crafts! You'll never know when a set like this will come in handy! Order today and get ready for big usage from a small package. 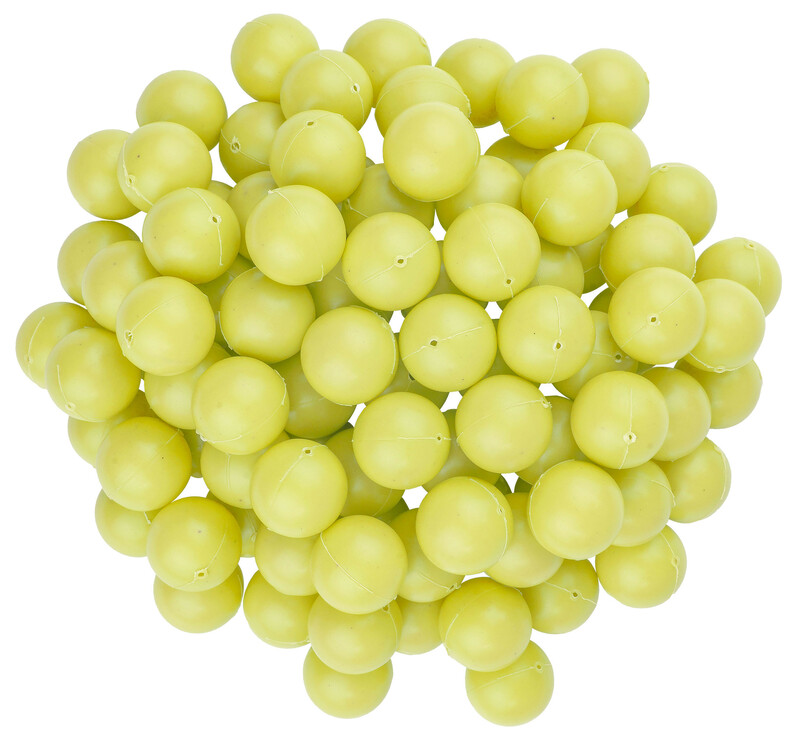 Includes 100 yellow balls. Each ball has a mold seam along the equator with one small hole on the end along that line. Overall dimension for each pack of 100 is 9.25" x 5.00" x 2.65".